Antje Schmidt, Head of Digital Cataloguing and MKG Collection Online, and Esther Ruelfs, Head of MKG’s Photography and New Media Department, on the functions of sharing images, both historically and in the present. Only four months ago, in October 2015, MKG Collection Online was launched. For the first time the objects of the Museum für Kunst und Gewerbe Hamburg are made publicly available on a searchable digital platform. Although containing highlights from all collection areas, the initial release1 has focused on objects from the department of Photography and New Media which comprises well over 75,000 works. From the daguerreotype of the nineteenth century to early colour photography of the 1930s, the works held by the MKG illustrate the history of early photography, and extend beyond to digital photography of the present day. For this occasion of the online image release the museum investigated how it can – in its role as a public cultural institution – make its holdings visible and accessible to as many people as possible. It decided that all images in the public domain should be provided under a Creative Commons CC0-license and be downloadable. The images tagged “public domain” are not only available for private, scholarly and commercial use, but may also be altered and combined with other content for the creation of completely new works. This idea of reuse corresponds to the museum’s initial founding charter from 1877, to offer persons working in the arts and crafts examples for study and imitation so as to improve the quality of the work of the regional workshops. Today the MKG is the first and only museum in Germany that offers, under the CCO license, the free use as well as reuse and remix of data and images of its public domain objects. This decision to make the collection freely available for the public was largely influenced by conclusions made after the examination of the MKG’s historical photographs. They demonstrated that the sharing of images fulfills an important function for the confirmation of cultural identity and the production and transfer of knowledge. Today more pictures are being taken and digitized than ever before – innumerable snapshots pile up on hard disks and in clouds, and are shared via the Internet and commented on. But platforms for sharing such as the MKG Collection Online, professional image databases, as well as Facebook and Flickr, only supersede older forms of archiving and transferring images and the associated interaction. Photography has always been a means of capturing, storing, and communicating visual impressions ever since its beginnings in the nineteenth century. One of the central functions of photography is the creation of mementoes. Photography connects us with the subject or the person depicted beyond even the bounds of the time. The photo is an imprint; it transmits to us something that was once really there. Like a fingerprint or a footprint. This special quality of photography predestined it from the start to be a medium of memory. 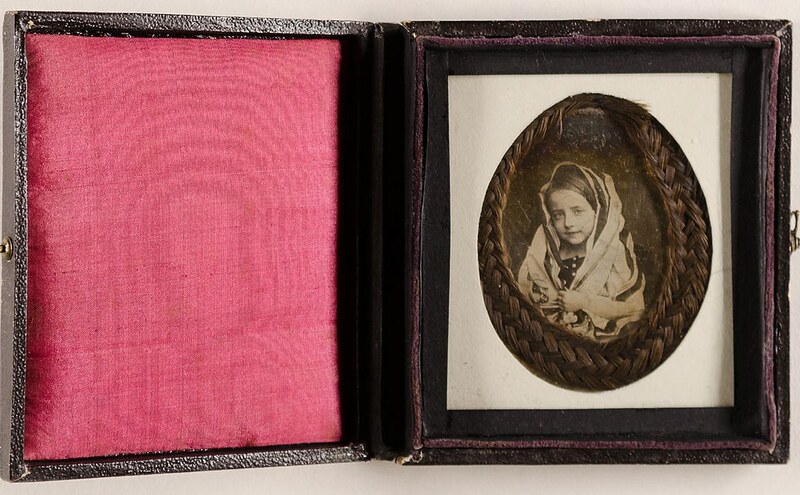 We can see this quality exemplified in the daguerreotype below, the image of the little girl framed by a braid of her own hair. Unknown, Mädchen mit Kopftuch, Germany, 1855, Museum für Kunst und Gewerbe Hamburg (Public Domain) — Source. 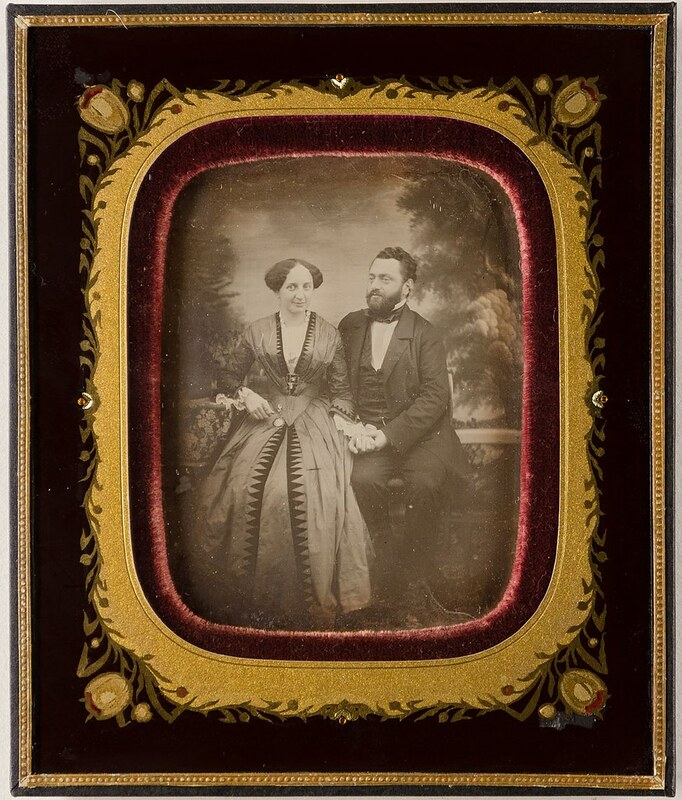 The idea of carrying part of a loved one with us and thus generating a special feeling of closeness is reflected in the practice of making friendship or mourning jewelry out of hair – and in the way we treasure portrait photographs as keepsakes of those we love. 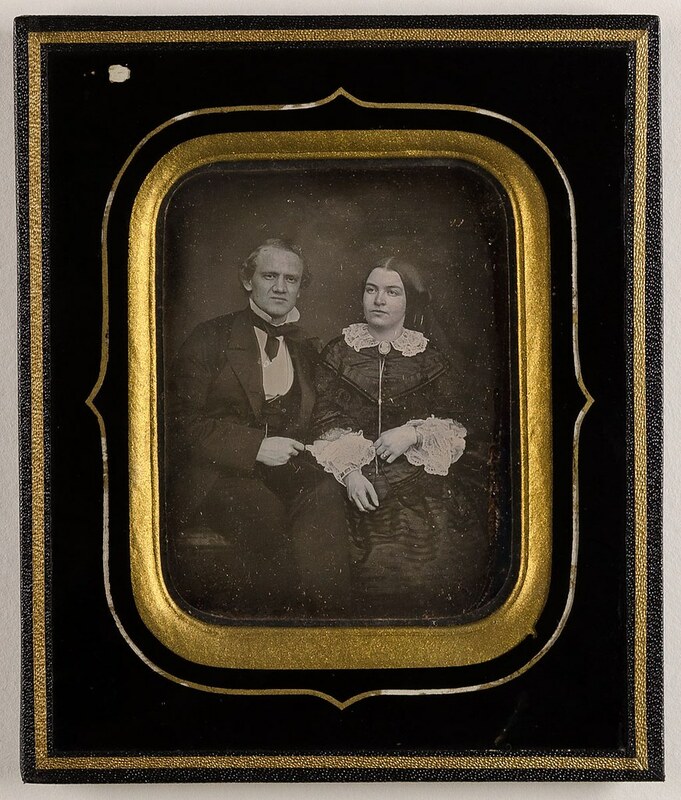 Emotional relationships can also be expressed by a certain photographic motif or by the body language of the sitters. Unknown, Unbekanntes Ehepaar, Germany, 1840-1860, Museum für Kunst und Gewerbe Hamburg (Public Domain) — Source. 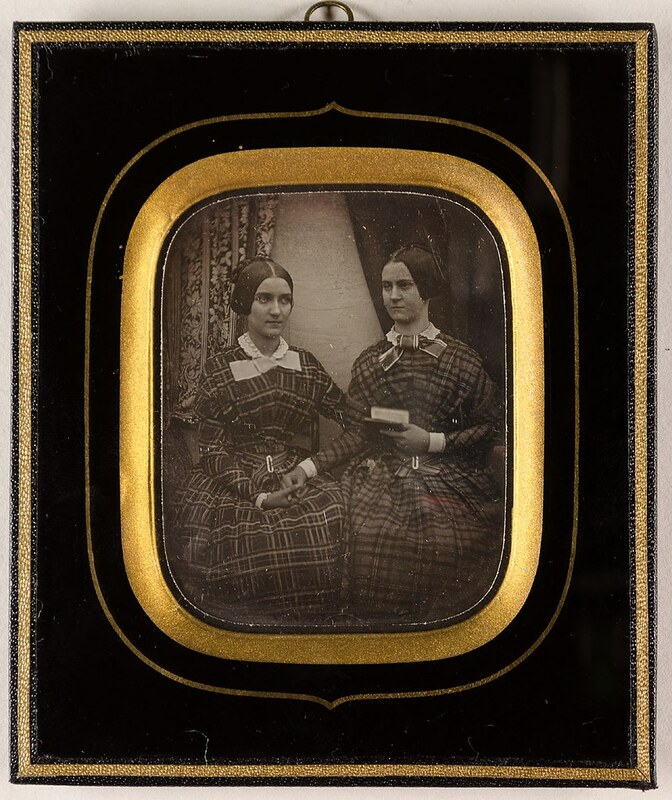 The arms of the sisters in the photo below are closely intertwined, as are the hands of the couple in the daguerreotype by Carl Ferdinand Stelzner. Unknown, Zwei unbekannte Frauen, Germany, 1840-1860, Museum für Kunst und Gewerbe Hamburg (Public Domain) — Source. Carl Ferdinand Stelzner, Carl Overweg mit seiner Braut Helene de Jough, Hamburg, 1857, Museum für Kunst und Gewerbe Hamburg (Public Domain) — Source. The relationship between photographer and subject may also be the focus of the work. 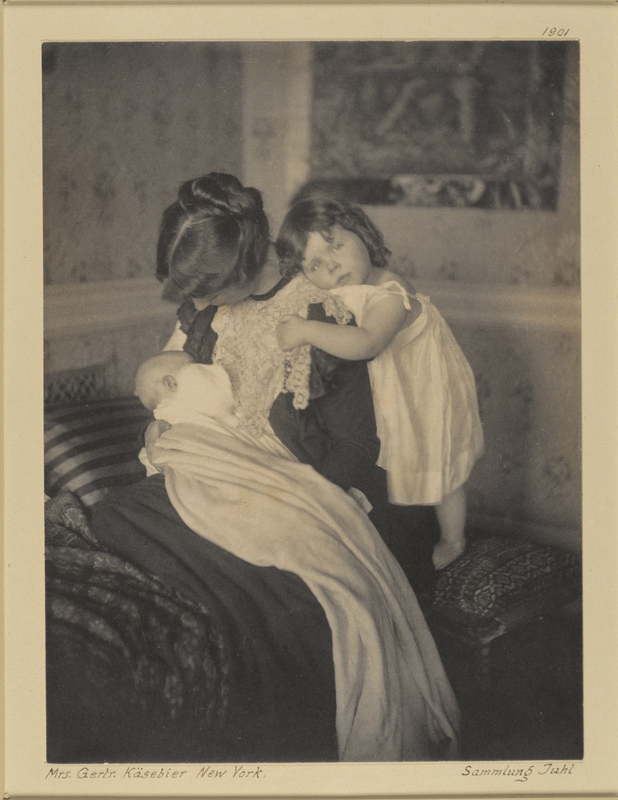 Gertrude Käsebier uses the camera, for example, to capture and hold onto intimate moments with her own family. Gertrude Käsebier, Blessed Art Though Among Women, ca. 1899, Museum für Kunst und Gewerbe Hamburg (Public Domain) — Source. 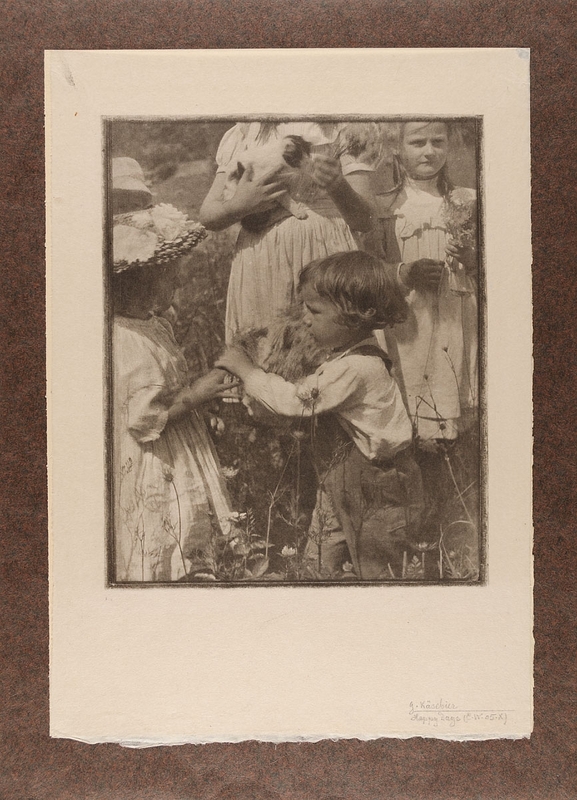 Gertrude Käsebier, The Picture Book, ca. 1903, Museum für Kunst und Gewerbe Hamburg (Public Domain) — Source. 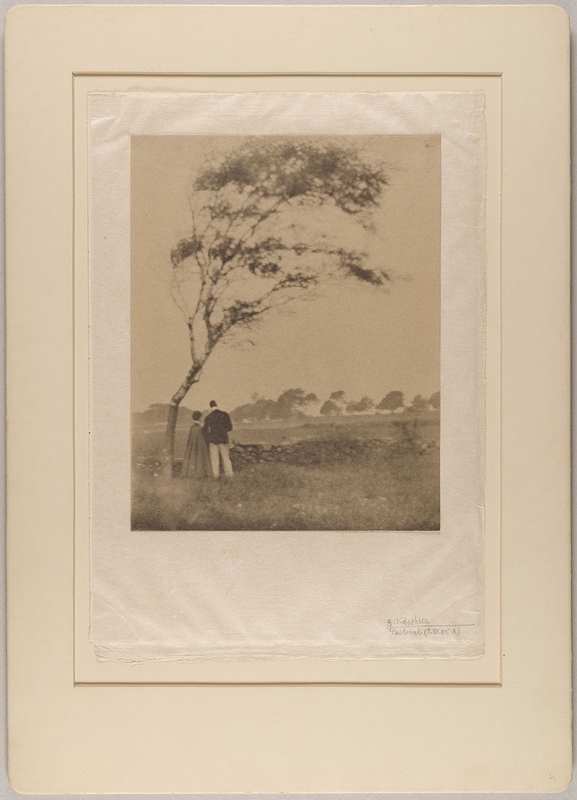 Käsebier was a member of the Photo-Secession, an American group of art photographers, and with numerous photographs published in Alfred Stieglitz’s journal Camera Work she made a substantial contribution to the establishment of photography as a means of artistic expression. By 1897, she was already so successful as a photographer that she was able to open a studio on Fifth Avenue in Manhattan. While her career was unusual for a woman of her day, her photographs feature traditional female motifs such as motherhood, and often treat Christian themes as well. 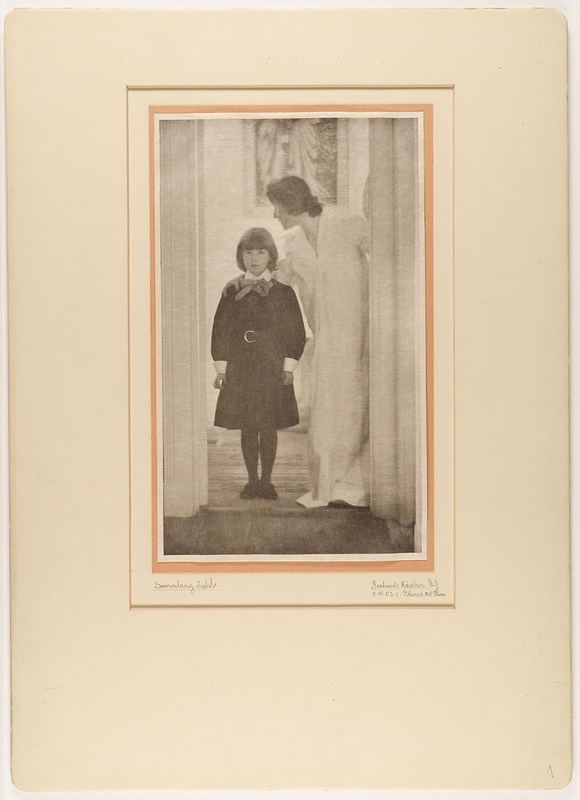 Käsebier’s images of her own children as they grew up, as well as her commissioned portrait work, is notable for atmospheric dramatization using soft light combined with soft focus. 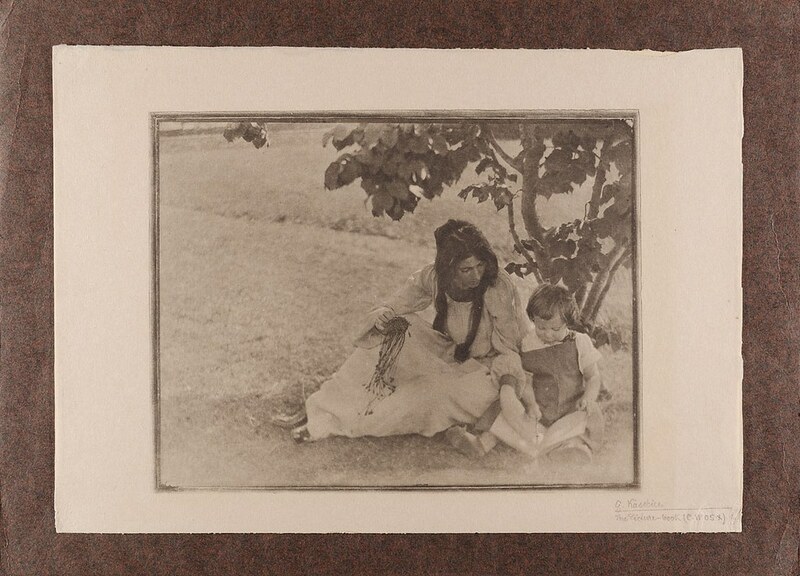 Gertrude Käsebier, Mutter mit Kindern, New York, 1901, Museum für Kunst und Gewerbe Hamburg (Public Domain) — Source. Gertrude Käsebier, Pastoral, before 1905. Heliogravüre published in Camera Work, Number 10, 1905, Museum für Kunst und Gewerbe Hamburg (Public Domain) — Source. Dr. Antje Schmidt is Head of Digital Cataloguing and MKG Collection Online. She holds a doctorate in Art History and, while her doctoral thesis examined the changing architecture and presentation modes of museums around 1900, in her current position she explores the challenges of museum practice in the digital age. You can contact her via Twitter. Dr. Esther Ruelfs has been Head of the Photography and New Media Department since 2012. Her interest lies in the connection between historical currents and recent developments in photography. She wrote her thesis on the German photographer Herbert List. The Museum für Kunst und Gewerbe Hamburg is one of the most important museums for applied art in Europe. The collection with more than 500.000 works range from Ancient Art to contemporary design with emphasis on European and East Asian art. It includes the world religions as well as Fashion, Graphic Art, Poster, Photography and exceptional Art Nouveau objects or unique musical instruments. Apart from being an inspirational source the museum was established to spread the knowledge about its works in order to improve the quality of the regional workshops. To explore its collections more please visit MKG Collection Online.